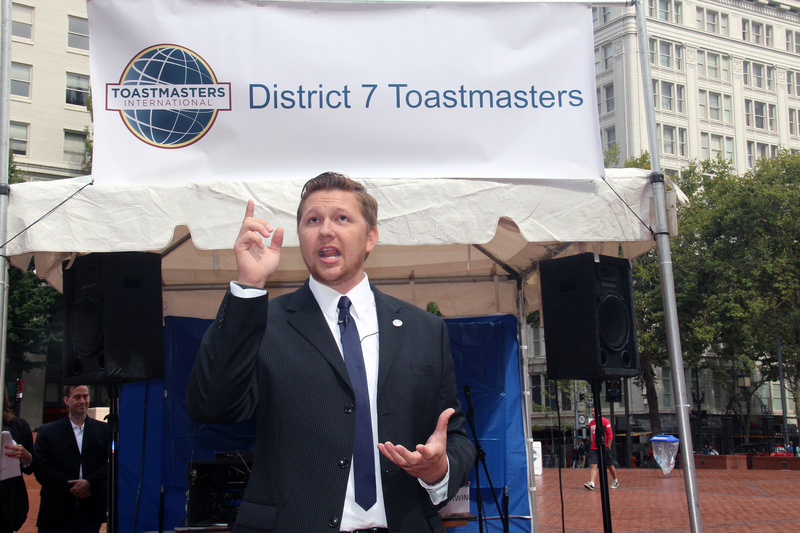 District 7 Toastmasters started in 1940 as one of 116 Toastmaster districts worldwide. It is comprised of over 175 clubs, divided into areas and divisions. Geographically, it includes Oregon (west of the Cascades to the coast), a small part of Southern Washington and Northern California. In Washington state, District 7 includes the counties of: Klickitat, Skamania, Clark, Wahkiakum and Cowlitz. In California, District 7 includes the counties of: Del Norte and Modoc. Since its beginning, Toastmasters has become a world leader in helping people gain confidence in their leadership ability and feel comfortable in front of an audience. Members hone their public speaking and leadership skills in a supportive club environment by giving speeches and participating in club roles designed to build skills incrementally. Together, through evaluations and a gradual education system, members grow from mentees to mentors, with opportunities to advance their leadership skills from the club level all the way to district leadership. Request to use an article from the District 7 magazine, Voices! The following press ready descriptions are available for the press in multiple lengths (one sentence, short, medium and long) suitable for inclusion in any article. District 7 Toastmasters builds new clubs and supports all clubs in achieving excellence in their pursuit to create the leaders and speakers of the future. District 7 Toastmasters strives to provide a fun and supportive atmosphere where members grow in confidence and overcome fears. They are proud to offer the eleven different Toastmasters Paths that teach both leadership and public speaking skills. Every member has the opportunity to have a mentor to guide them towards their goals, as well as the opportunity to mentor others on their paths. District 7 Toastmasters holds an annual Spring conference with an International Public Speaking and Evaluation Contest, where 18 selected contestants compete. Both the winner and runner-up go on to compete at the Toastmasters International Annual Convention. The first Toastmasters club in Oregon was started in Portland in 1930. By June of 1940, it had grown enough that Toastmasters International announced the formation of District 7 Toastmasters. At the time, there were just five areas and no divisions within District 7. Today, District 7 Toastmasters has grown to include nine divisions and 40 areas that encompasses Oregon (west of the Cascades to the coast), a small part of Southern Washington and Northern California. District 7 Toastmasters is one of 116 districts worldwide that are each part of Toastmasters International, a public speaking and leadership organization. Since it’s beginning in October of 1924, Toastmasters International has grown to become a world leader in helping people become more competent and comfortable in front of an audience. District 7 Toastmasters strives to provide a fun and supportive atmosphere where their members can practice public speaking and leadership skills. This allows their members to grow in confidence and overcome their fears. To help their members achieve their goals, District 7 Toastmasters has both a mentorship program and an educational program. Within the mentorship program, every member has the opportunity to both be mentored and to mentor others. The goal is always to help guide one another toward improvement and individual goals. For members wanting more experience in mentorship, Toastmasters offers them a chance to be a club mentor. These mentors work like a program manager, overseeing a club’s activity throughout the year. District 7 Toastmasters’ educational program is called Pathways. It consists of eleven different “Paths”, ranging from Innovative Planning to Effective Coaching. Each Path includes five levels that increase in difficulty. These Paths teach both leadership and public speaking skills to the members, with the ability to be customized to the individual’s interests. Additionally, there are opportunities to practice leadership skills at both the club and district levels by serving one year terms of office or serving in meeting roles. Members that avail themselves of these opportunities gain the benefits of working on their personal leadership skills in a supportive club environment. Throughout District 7 Toastmasters, members have the option to belong to community clubs, corporate clubs or specialty clubs. Recently, District 7 Toastmasters has added the opportunity to join clubs online through hybrid clubs, with members from all around the world. They also offer clubs such as TV Toastmasters, where members can practice their public speaking skills on-screen. Every year, District 7 Toastmasters holds a Spring conference with an International Public Speaking and Evaluation Contest. Ultimately, the winner and runner-up from the conference go on to compete on the international stage during the Toastmasters International Annual Convention. Throughout its years as a district, District 7 Toastmasters has received over 25 awards, including Excellence in Marketing and Excellence in Education and Training. District 7 has also been recognized by Toastmasters International as a Distinguished District. Additionally, the Presidential Citation Award for personal achievement has been bestowed by Toastmasters International upon eleven members in the district. The first Toastmasters club in Oregon was started in Portland in 1930, growing to 14 clubs throughout Oregon by 1938. In June of 1940, Toastmasters International announced the formation of District 7 Toastmasters under the direction of Frederick H. Eley. At the time, there were five areas and no divisions within District 7. Today, District 7 Toastmasters has grown to include nine divisions and 40 areas throughout Oregon, Washington and California. District 7 Toastmasters is one of 116 districts worldwide that are each part of Toastmasters International, a public speaking and leadership organization. As a district, they are designated geographically, in Oregon (west of the Cascades to the coast), a small part of Southern Washington and Northern California. 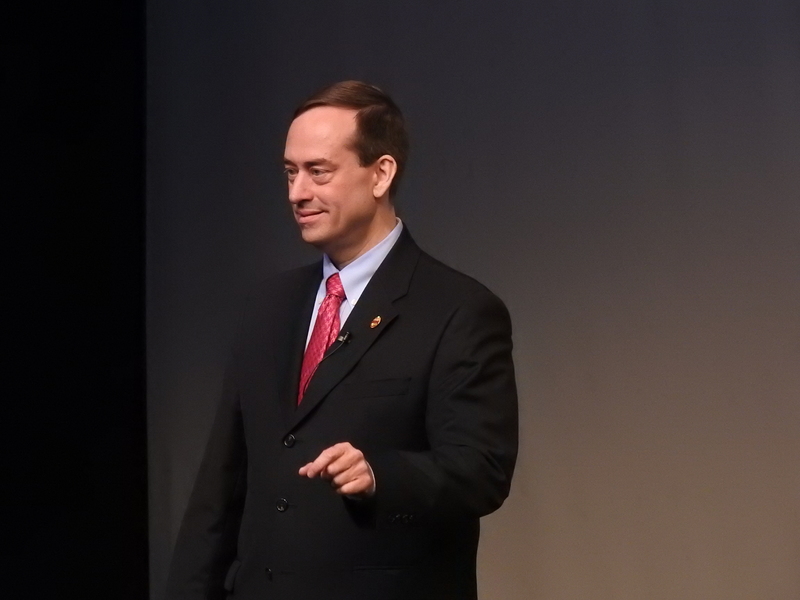 Since it’s beginning in October of 1924, Toastmasters International has grown to become a world leader in helping people become more competent and comfortable in front of an audience. District 7 Toastmasters strives to provide a fun and supportive atmosphere where their members can practice public speaking and leadership skills. This allows their members to grow in confidence and overcome their fears. To help their members achieve their goals, District 7 Toastmasters has a mentorship program. On the receiving side, every member is paired with a mentor that guides them through the education program towards their individual goals. On the giving side, members have the opportunity to test their mentorship skills in guiding others. The mentorship program is guided and increases incrementally, starting with mentoring another member for six weeks, then six months. For members wanting more experience in mentorship, Toastmasters offers them a chance to be a club mentor. These mentors work like a program manager, overseeing a club’s activity throughout the year with the goal of helping the club gain enough points to become distinguished for the year. To aid in the members’ growth, District 7 Toastmasters has an educational program in which all members have the opportunity to participate. This program is called Pathways. It consists of eleven different “Paths”, ranging from Innovative Planning to Effective Coaching. Each Path includes five levels that increase in difficulty. These Paths teach both leadership and public speaking skills to the members, with the ability to be customized to the individual’s interests. In addition to year-long roles, there are meeting roles that provide members opportunities to practice their skills. Members that avail themselves of these opportunities gain the benefits of working on their personal leadership skills in a supportive club environment. Club roles are designed to build skills incrementally and include such positions as being a Speech Evaluator or Toastmaster of the day. Members also have the opportunity to work with their public speaking skills through both giving prepared speeches at meetings and participating in Table Topics. Throughout District 7, members have the option to belong to community clubs, corporate clubs or specialty clubs. A community club is generally open to all members, and meetings are held in public locations such as libraries, community centers and restaurants. In contrast, a corporate club is affiliated with a sponsor, and attracts its membership from their employees. Some such corporate clubs are AT&T, Boeing, the Coca-Cola brand of companies, Google, Sony, and many other Fortune 500 companies. While these clubs are normally closed clubs, there are some that are open to all community members in addition to their employees. A specialty club, or advanced club, is for Toastmasters who are focused on developing advanced skills. These are considered closed clubs that are open only to Toastmasters who have reached a certain level in the Toastmasters education program. Recently, District 7 Toastmasters has added the opportunity to join clubs online through hybrid clubs, with members from all around the world. They also offer clubs such as TV Toastmasters, where members can practice their public speaking skills on-screen. Every year, District 7 Toastmasters holds a Spring conference with an International Public Speaking and Evaluation Contest. Each of the 175 clubs holds a competition to select which of their members will advance to compete at the area level competition. Then, in the areas of District 7, two members from each club compete for two slots to go on to compete in the division level competition. This repeats at the nine divisions in District 7 to determine which 18 contestants will compete at the conference. The winner and runner-up from the conference will go on to compete on the international stage during the Toastmasters International Annual Convention. Toastmasters International is a non-profit educational organization that teaches public speaking and leadership skills through a worldwide network of clubs. Headquartered in Englewood, Colo., the organization’s membership exceeds 357,000 in more than 16,600 clubs in 143 countries. Since 1924, Toastmasters International has helped people from diverse backgrounds become more confident speakers, communicators, and leaders. Pathways program with individualized projects. All-inclusive learning style with supportive videos, interactive quizzes and personal reflection on how each project applies to the individual. Uses real life examples and application projects to teach fundamentals of public speaking and leadership. A structured mentor program promoting the growth of both the mentor and mentee. Leadership opportunities throughout each level of Toastmasters. Flexible and interactive way to develop real world competencies. Build incrementally at a manageable pace to ensure mastery at each level. District 7 Toastmasters has been around for over 80 years. Strives to provide a fun and supportive atmosphere throughout the district. Proven educational program in public speaking and leadership. Provides a range of clubs, with specialties such as hybrid and corporate clubs. Offers the chance to both be mentored and to become a mentor. Offers the opportunity to advance in leadership from the club level to district level. Holds an annual conference, complete with an international speaker and evaluation competition. Holds over 25 awards in excellence, including but not limited to awards for the education program and marketing skills. How have you seen your leadership skills grow since joining Toastmasters? What advice would you give a person debating about joining Toastmasters? What is the best advice you have gotten from a Toastmasters evaluation? How is Toastmasters different than other leadership development companies? 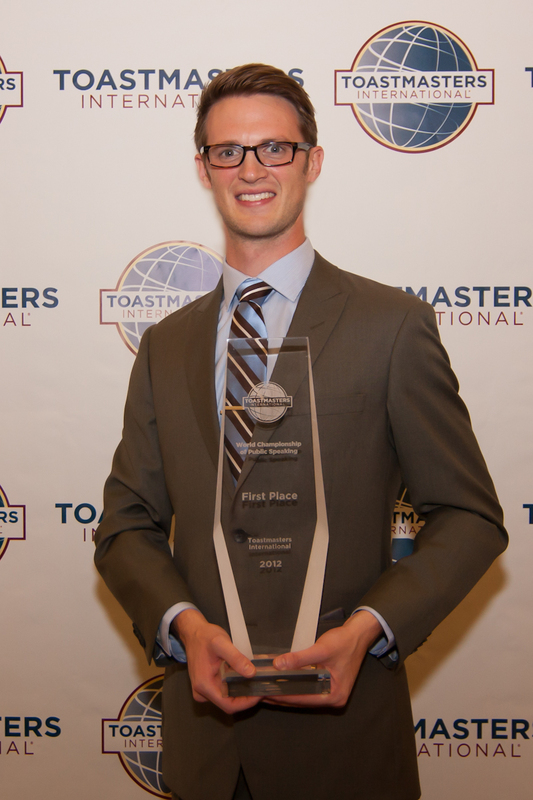 As a new college graduate who is going into an entry level position, why should I consider Toastmasters? Why is meeting once a week more beneficial than a one-month intensive development program? If I am already in a middle management position, why should I join Toastmasters? How would I benefit? Communication & Leadership Club for Kids!